If your tee shirts aren't your go-to choice for comfort, you need a new tee. Check out this Wrangler Riggs Men's Charcoal Grey 3W700 CH Short Sleeve Pocket Tee Shirt that offers a feel-good fit plus plenty of other features you'll love. Made in a 7-ounce blend o ... (see full details) (see specifications) #WRG3W700CH. If your tee shirts aren't your go-to choice for comfort, you need a new tee. Check out this Wrangler Riggs Men's Charcoal Grey 3W700 CH Short Sleeve Pocket Tee Shirt that offers a feel-good fit plus plenty of other features you'll love. Made in a 7-ounce blend of 90% cotton and 10% polyester, this short sleeve top is breathable, lightweight, tough, and soft to the touch. The relaxed fit gives you room to move and offers plenty of coverage. Vented and taped sideseams add durability and breathable comfort. The taped neck seam offers a durable finish to this hardwearing style. The tagless design adds even more comfort by eliminating the scratchy tag. For convenience, there's a left chest pocket and a hidden utility loop. This charcoal grey heather shirt with subtle shading is an easy match for layering or wearing by itself with your favorite work pants. Get comfortable with this Wrangler Riggs Men's Charcoal Grey 3W700 CH Short Sleeve Pocket Tee Shirt. Order yours from the workwear experts at Working Person's Store right now! 125 out of 125 people found this product review helpful. 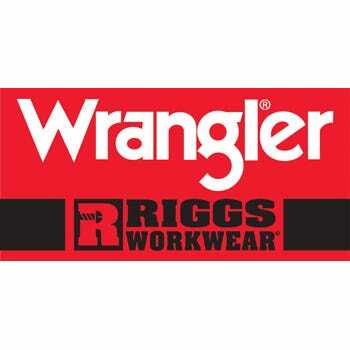 I have a lot of the Wrangler Brand Clothing and have never been disappointed, and this Wrangler/Riggs Charcoal Grey Tee is No exception. I've had this particular Tee for a couple of years now and it still looks great. The Wrangler Tee's hold their shape over time, and the color fades very little. The Chest Pocket is a big plus for me also, as I am always putting things in it. Very satisfied and recommend! By far these are the toughest t-shirts on the market. Have been wearing Wrangler shirts for years an they definitely stand up to the test. The shirts are a little thicker then the average t-shirt and can be a little warmer so I stick to the litter colors in the summer. The extra holder in the pocket also helps to keep my pen where it belongs. This shirt really holds its shape even in the toughest of environments. These shirts last twice as long as any thing else I've worn. I use to go through shirts every season but these shirts will last me over a year now. All I use to wear was Carhartt but these are a far superior product. I even wear them around the house now. I recommend these shirts to everyone that I work with every chance I get. 60 out of 60 people found this product review helpful. I use to but my Tee shirts at brand named stores, but I like the longer tail because when I bend over my shirt tail doesn't have to be tucked back in all the time. The pocket is heavy and holds up well when I put my phone in it. The collar is well thought out because it doesn't stretch out or sag like cheap Tee shirts usually do. These shirts are great except they shrink after 1st washing. Other than that they are great shirts for working or for just casual wear. I would recommend this shirt to others. They outlast Carhart brand 10 to 1. I have some of these T's that I have been wearing for over 10 years, and they're still wearable, faded a litle bit but after 10years of washing and being out in the AZ and NM sun you'd probably fade a little too. Seriously they are a good fit, look great, good strong non stretching collar, stays looking new forever, and I have noticed they are very roomy, I normally wear an XL in T-shirts of any other make, but these a L does the job for a perfect fit. Wrangler Riggs Shirts: Men's Charcoal Grey 3W700 CH Short Sleeve Pocket Tee Shirt is being added to your cart.